File photo: In 2018, MDI converted 2,000 square feet into a white room and is now ISO 13485:2016 certified and an FDA registered facility for medical device assembly and packaging. MINNEAPOLIS, Minn. – MDI recently added 11,000 square feet to its Minneapolis facility to accommodate for growth in the commercial sector. MDI is a leader in manufacturing corrugated standard and custom plastic packaging solutions, production assembly and environmental services. 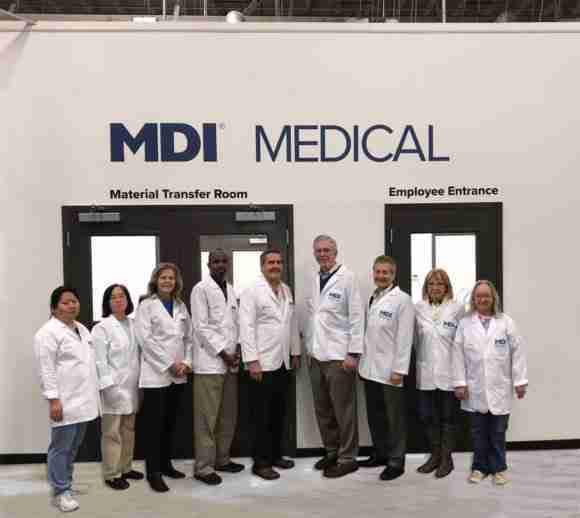 In 2018, MDI converted 2,000 square feet into a white room and is now ISO 13485:2016 certified and an FDA registered facility for medical device assembly and packaging. This allows the nonprofit to offer kitting, assembly and packaging services to medical device companies – another area of growth for the organization. “Our recent expansion and increased focus on working with medical device manufacturers reflect MDI’s intentional, continued growth, all with the goal of providing more opportunities for employment to people with disabilities in our community,” added McDermott. MDI employs a total of 525 people of which 207 are people with documented disabilities. MDI has additional facilities in Cohasset, Hibbing and Grand Rapids. MDI is a leader in manufacturing corrugated standard and custom plastic packaging solutions, production assembly, and environmental services. As a non-profit through a Social Enterprise model, MDI creates self-sufficiency by providing meaningful work in an inclusive environment, with nearly half of the workforce comprised of people with disabilities. Headquartered in Minneapolis, with additional locations in Hibbing, Grand Rapids, and Cohasset, MDI offers an unparalleled customer experience, while providing high-quality products and services to businesses and organizations.